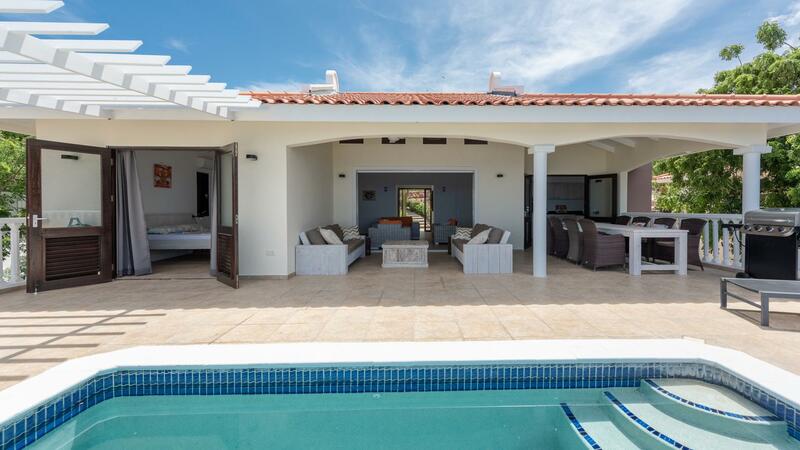 Villa Natalya is a very luxury villa with 4 bedrooms and 4 bathrooms. 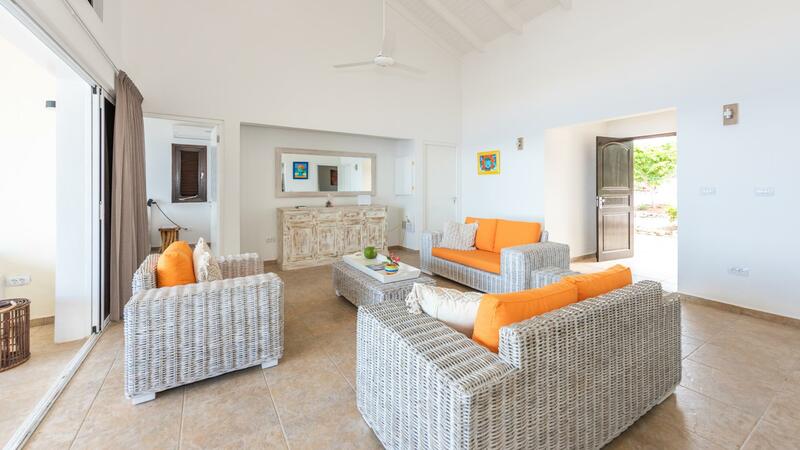 Located in a prime location in the exclusive private resort Coral Estate. 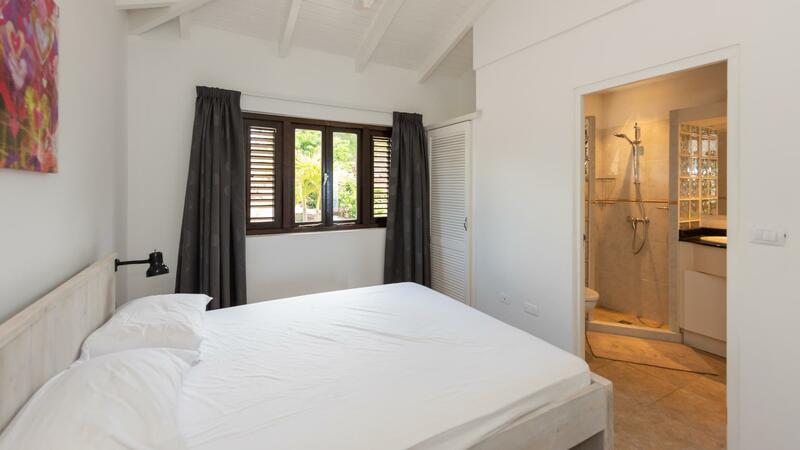 The villa has been recently completely renovated (September 2018), painted inside and out, with new beds, new furniture, new bed-and bath linnen, a new kitchen, etc. When you enter the house through the front door, you look directly out at the sea through the living room. The view is spectacular. 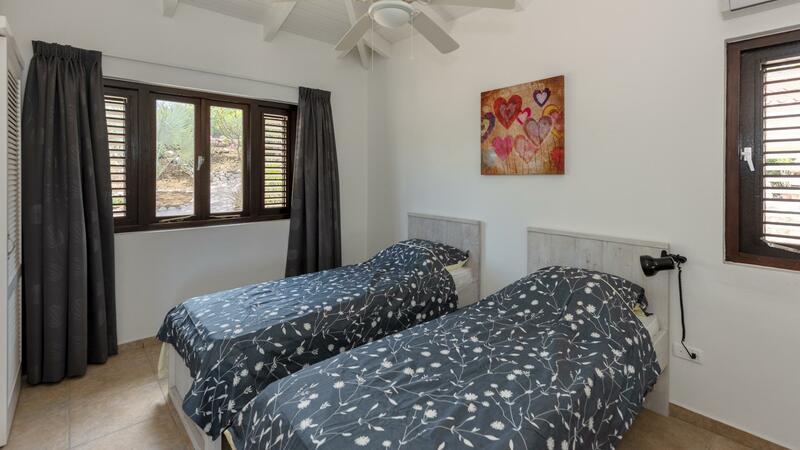 The house has three bedrooms, each with a private bathroom. 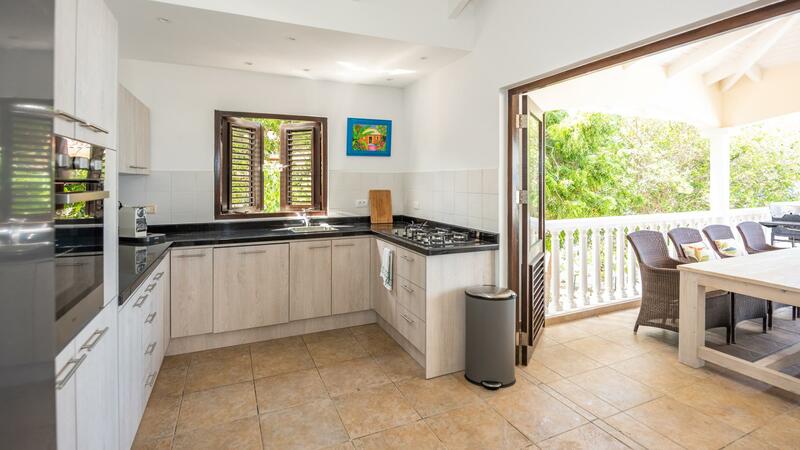 The kitchen is located on the left and is equipped with a gas stove, dishwasher, large oven and fridge and more than enough storage space. The living room is seamlessly connected to a covered porch, which greatly increases your living space. Here you can lounge and enjoy the private pool. 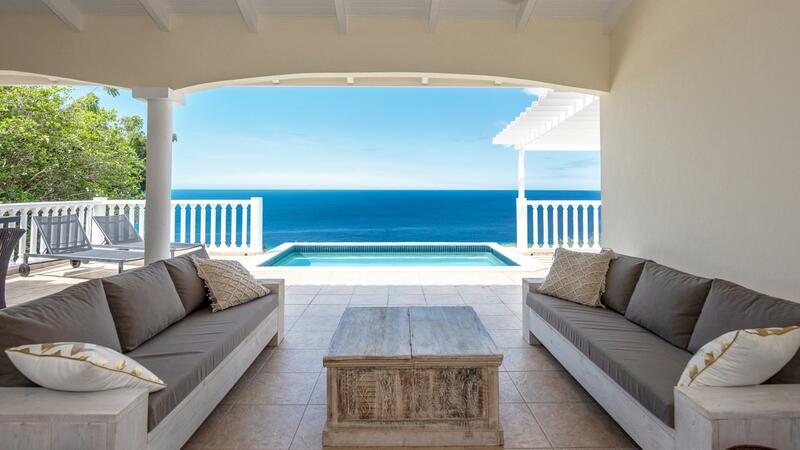 The very spacious Villa Natalya is located high on Coral Estate on a large plot with plenty of and unobstructed views of the Caribbean Sea. 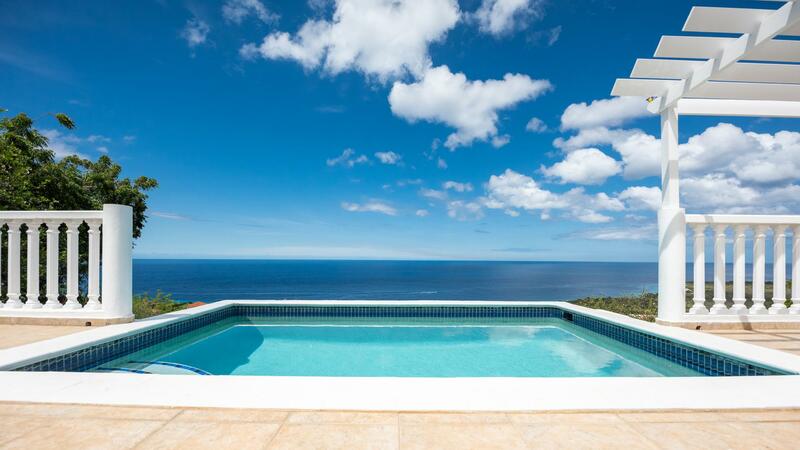 This very solid built house offers a large amount of living space on one of the most beautiful spots on Coral Estate. The plot is surrounded by a beautiful tropical garden and is beautifully situated in the natural environment. The 7th and 8th person of your group can stay in the guesthouse. This modern kitchen is equipped with every conceivable equipment. 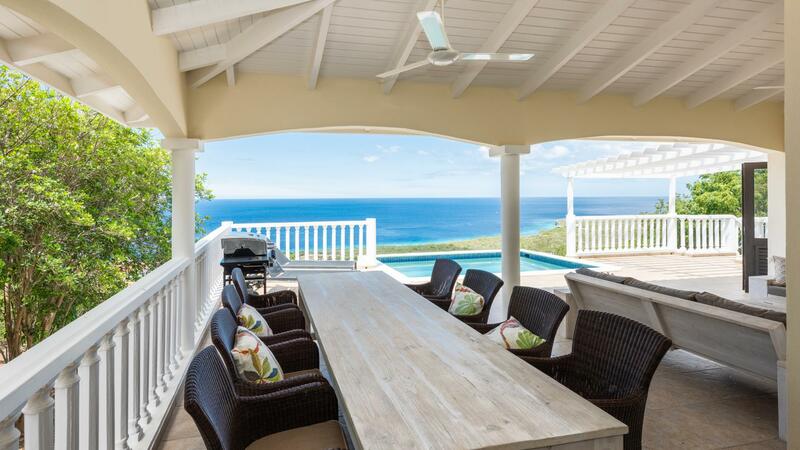 The whole house is conveniently located on the trade winds which ensures pleasant cooling. All sockets supply 220 volts; 110 volts are also available in the kitchen. 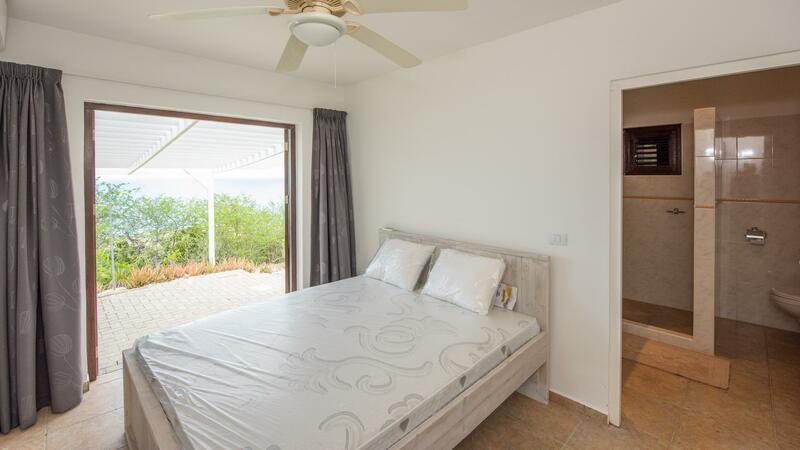 The villa is located on the secure resort Coral Estate. A walk down brings you to the beach and restaurant 'Karakter' and the adjacent diving school. Nearby are also the most beautiful beaches of Curaçao: Daai Booi Beach, Porto Marie, Cas Abao, Grote and Kleine Knip, etc. This is your holiday without worries, in an oasis of peace and pleasure. This is holiday at top level! 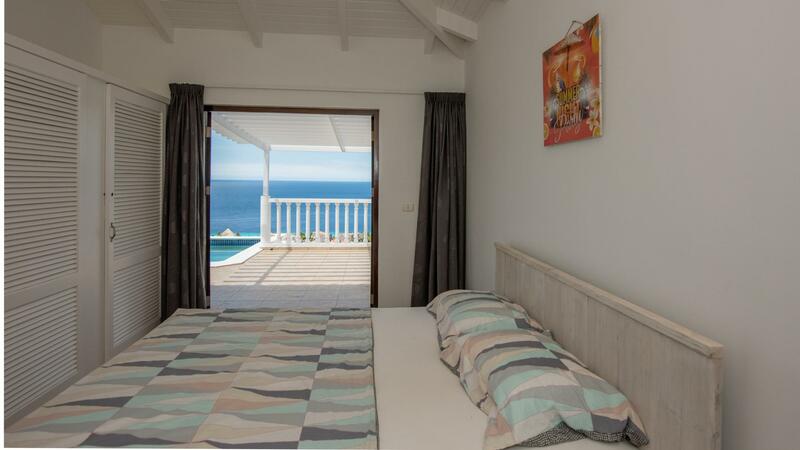 The basic price of € 149,- is based on a stay of 2 persons per night, excluding LGB. Free stay for children up to 2 years, in the parents' bedroom. For every next guest (3rd to 8th person) you only pay € 25 extra. - Final cleaning and laundry € 100, - to be paid locally to the manager. On Curaçao the costs for water and electricity are relatively high. A m3 of water costs € 7,-. Electricity costs € 0.38 per kWh. By keeping these costs outside the rent, you yourself have an influence on the holiday expenses. By limiting the use of the air conditioning to the times when you are in the cooled room you save a lot of costs. The costs for water and electricity are deducted from your deposit. 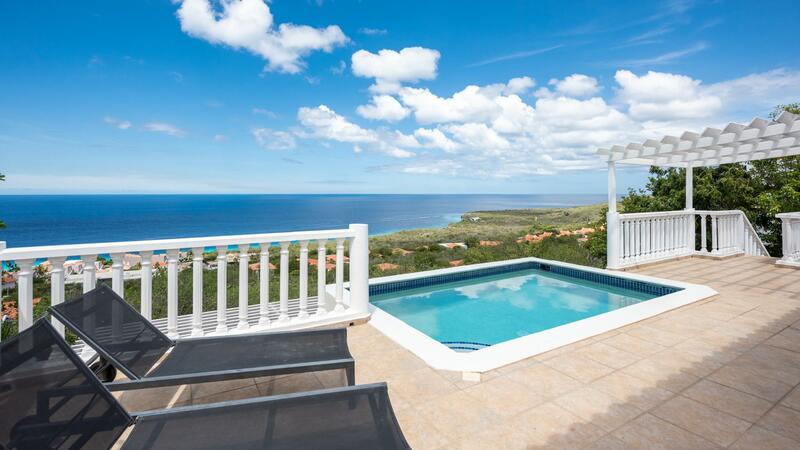 Villa Natalya is located at the resort Coral Estate, Reef St. Marie. 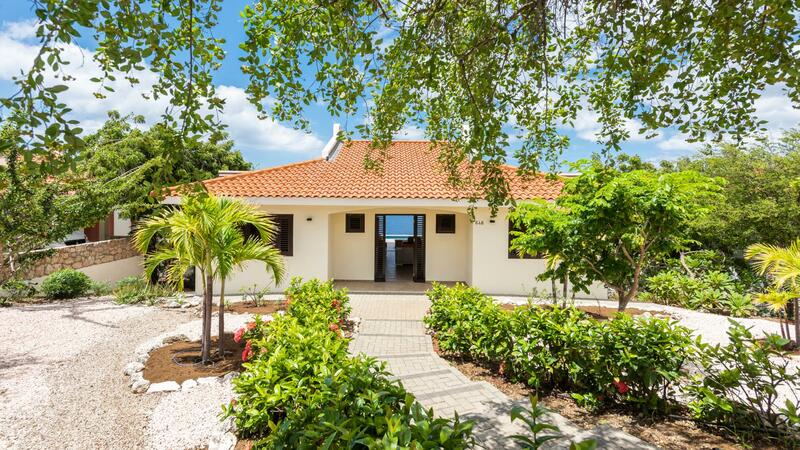 The unique 24-hour security resort is located halfway south-west coast, in a beautiful, historic part of Curaçao. It is located in a beautiful, natural coastal area. With the Caribbean Sea on the south-west side and the saline (inland) to the northeast, with the former saltpans where there are regular groups of flamingos to be found. The resort is approximately 350 acres, of which only 30% is built on a coastline of no less than 3 km. The vastness of the Coral Estate project with many natural areas, offers both residents and tourists a lot of space and rest. 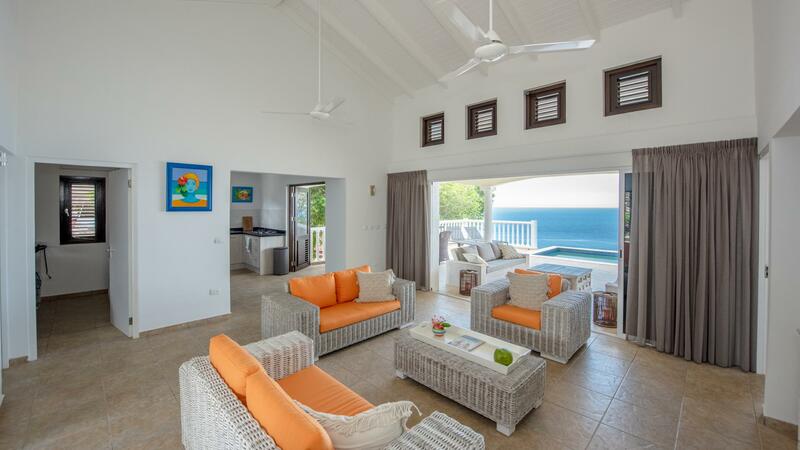 The natural level difference of Coral Estate ensures that you also have a truly fantastic view of the Caribbean Sea from Villa Caribbean Seaside! It features a bar & restaurant, a dive shop/diving school, a gym, a beach and a beautiful swimming pool. Restaurant 'Karakter' is right on the beach. You will find beds and chairs for free use. The beach is not very big but is a good location for snorkeling and diving. Due to its central location on the 65 km long island of Curaçao, you are close by!